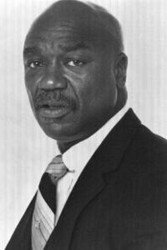 Tony Burton is an actor. He is best known for his role as Tony "Duke" Evers in the Rocky series, and is one of three actors (along with Sylvester Stallone and Burt Young) who have appeared in all six Rocky films. Burton was a Michigan Golden Gloves heavyweight boxing champion and two-time all-state football player. Tony was also a star pitcher leading his high school to the City Championship. Watch Tony Burton interview here..